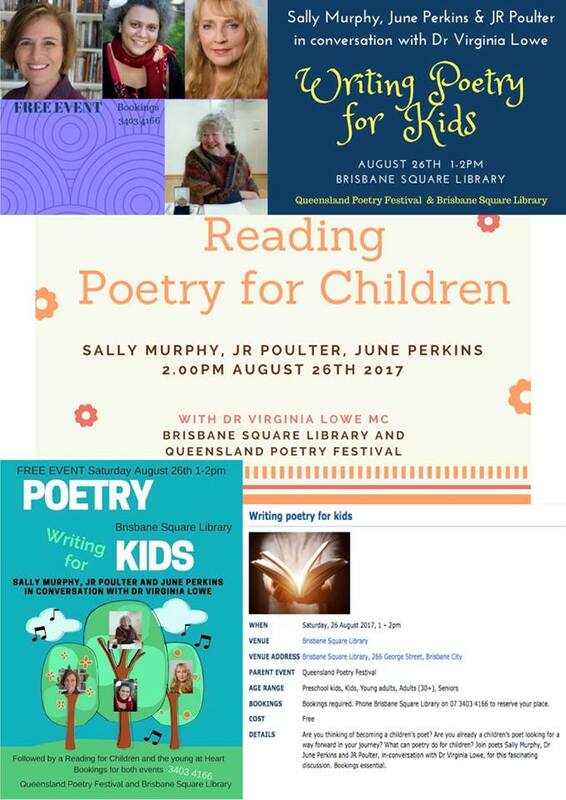 A panel exploring Writing Poetry for Kids, hosted by the Brisbane Square Library, was held at the Queensland Poetry Festival 2017, Saturday August 26th. It was encouraging to see the theatrette full, and a mixture of backgrounds: parents, local writing for children community members, local writers and poets, and general public in attendance, as well as a few children. The library did a beautiful job hosting and making sure the equipment was all sound checked and ready to go. 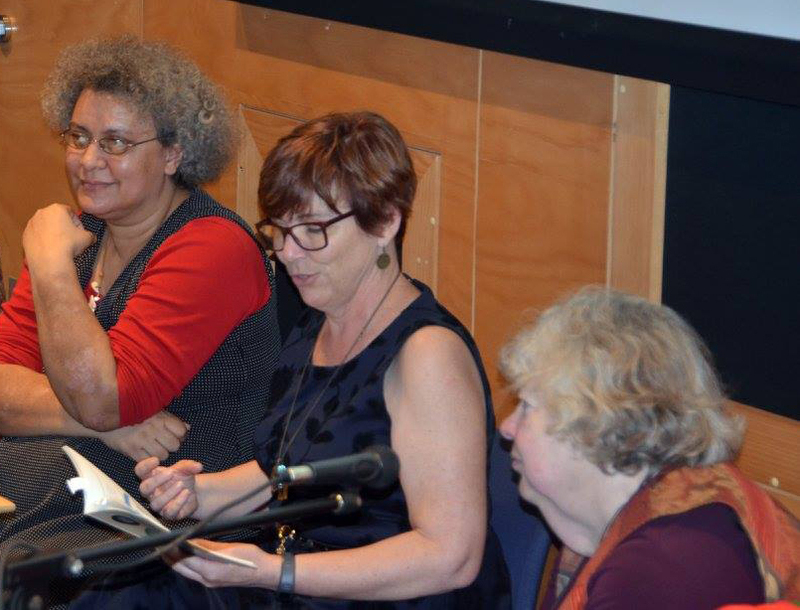 Thanks to the Queensland Poetry Festival for including this panel in the festival. The panel examined the idea that children are the future of keeping the art of poetry alive. If they love it, then when they grow up, their children in turn will love it. So how then do we foster and keep poetry vibrant, inclusive, and add it onto everyone’s would like to try or must do, and must buy list, especially children, grandparents, parents, families and schools? Dr Virginia Lowe posed this and other interesting questions to the panel. Dr Sally Murphy commented that in nearly all bookshops there is no poetry for children’s section. She makes a point of checking this whenever she is near one and did so in Brisbane and found it to be typical. The shop she went into did, however, have picture books that rhyme (which are enjoyable but this limits what people think of as poetry books for children). The emphasis with most ‘poetry books’ for children is heavily on rhyme? Why is this? Why is poetry not considered saleable and marketable for children in its own right despite the fact it is widely studied in schools and potentially could be popular ? Poetry for children is not seen as something for trade publishing, and is only a small part of educational publishing. 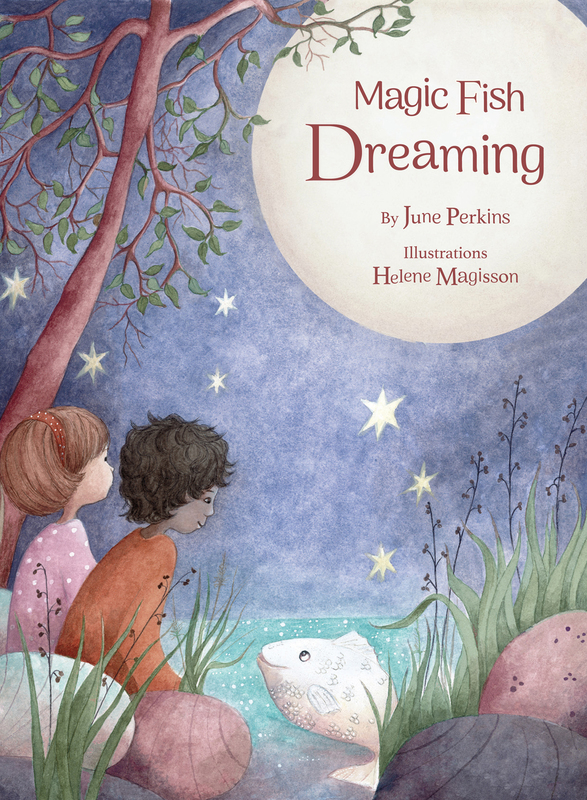 Dr June Perkins mentioned the brilliant work of Riverbend books in supporting poetry for all ages and that they had been the first to stock Magic Fish Dreaming. 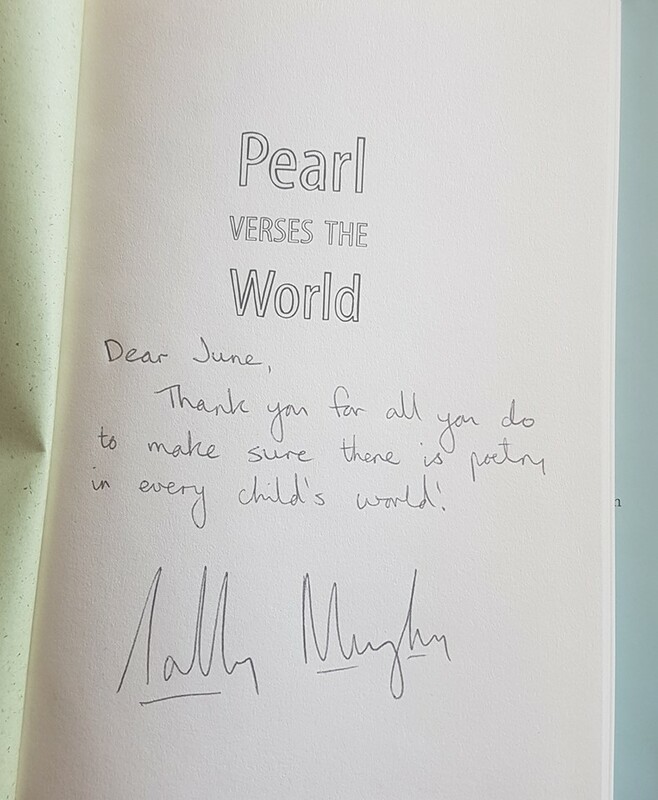 The challenge is that when children and young people have to pull poetry apart their love of it can potentially diminish unless something in their lives draws them to it again and they discover it anew. The panel went on to outline where their own love of poetry came from – such as through a parent or grandparent who loved language, and exposure to poetry for children such as AA Milne or Dr Seuss and the poetic language of Shakespeare, musicals and popular songwriters their parents loved. Their love of it deepened through writing it, and sometimes through realising the healing and transformative powers of poetry in their own lives. June had highly encouraging teachers who sent her along to poetry festivals and encouraged her writing and recital of her work. Each of the panelists found publishing their poetry encouraged them to continue to write it, and in Sally’s case she has written and been awarded for her verse novels. June mentioned that after studying the World War One poets she wrote a poem on peace and was thrilled to have it published in the local paper. She also credited her mother’s traditional stories from Papua New Guinea, and her sense of magic and fun as well as her highly literate in the classics, as well as 1970s popular music, father for playing a role in her creative work. The panel spoke for the highlighting of the emotive elements of poetry within schools for students from an early age rather than just focusing on a few set forms like acrostic, limerick and haiku. If students can connect with the social and emotive power of poetry, and see the role poets have played in society or the role poetry can play at an individual level in their lives, they might just respect the art form more. This is much more important than just remembering numerical formulas of poetry. Magic Fish Dreaming for sale at the Queensland Poetry Festival – A special moment. Part of the solution to not losing lovers of poetry (Sally began liking poetry and lost her love of it throughout high school) is creating a greater love and understanding for poetry and all its most attractive attributes in teachers. Sally recently completed her doctoral studies into poetry for children, and has worked as a teacher. She found the set ways in which poetry is taught within the curriculum quite uninspiring, to the point where she had to leave teaching, but now visits schools as a poet/writer. 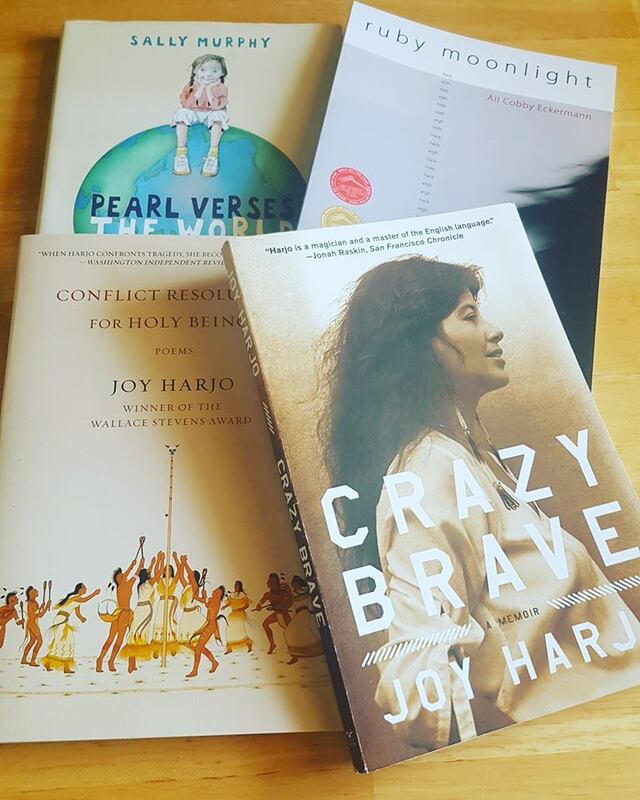 June mentioned a recent enjoyable poetry visit to a high school class where she shared life as a children’s poet and put students and the teachers in touch with the emotive elements of poetry. She mentioned loving what university study taught her about poetry, for it introduced her to African American writers, Indigenous poets and more, and also engaged her with more technical aspects of poetry so she could do more informed experimentation of her work. She loved understanding for the first time how to scan a poem for its metre properly. 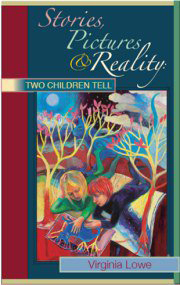 J.R Poulter, mentioned how it is important for children ‘to feel poetry’ to understand it and write about it. How the poetry makes them feel can be a beginning point. Sally focused on the need for readers to enjoy poetry. Poetry can bring pleasure and joy and suffers when over burdened with an educative role! This realisation will attract more people to read, write and ultimately buy it. The panel focused on the ‘magic of words,’ sometimes in just how they sound and that we can attract young people to have a great love of language through poetry, and to fall in love with the sounds of words that they then long to understand the full meaning of. Poetry can also be integrated into all parts of the curriculum and not limited to the ‘literary’ studies subjects but focus on topics like environment, and friendship. A poem on a topic might bring it alive to students, and increase their engagement with it. For instance Celia Berrell’s work with Science and Poetry. The panel discussed that despite it being so hard to traditionally publish poetry many people still write it and publish it on blogs and in chap books, perhaps aware of its healing and other powers, but together they raised the question: Are poets only performing to other poets? How do we then attract a readership beyond poets? This is perhaps something that needs to change for poetry as a whole. Bring poetry to the people! Address things that appeal to a wide range of the community, including families and children. There are many kinds of poetry for many kinds of people and there is space for all voices, and many choices in style, genre and poetics. J.R Poulter explained that when she sets out to write a poem she doesn’t initially think about the age, but when the poem is completed she knows which age it might suit. She lets the poem take her on the journey. June (who has written poems from a young age mainly about experience, nature, identity and peace) began writing poetry for children when her children were small, and she was doing projects like Ripple, to advocate for poetry in her local country town with a RADF grant from council. 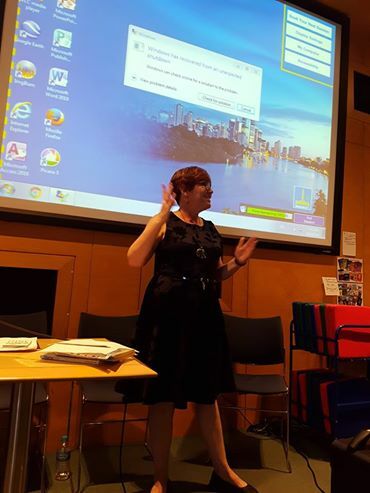 During the discussion June paid tribute to the children’s writing community of Brisbane and Australia wide, and their support and backing of Magic Fish Dreaming. June encouraged the writing of poetry with a strong sense of place and identity. The unique voices of their world can find their own forms of poetic expression, and be shared and nurtured. By reflecting the spaces we live in within our poetry, we can contribute something unique to the world landscapes of poetry. The panel tackled the challenges of publishing poetry for children. There are only a few magazines where poets can send work for eg: School Magazine, Caterpillar and Cricket and the Australian Children’s Poetry blog but trade publishers tend to steer clear of it. 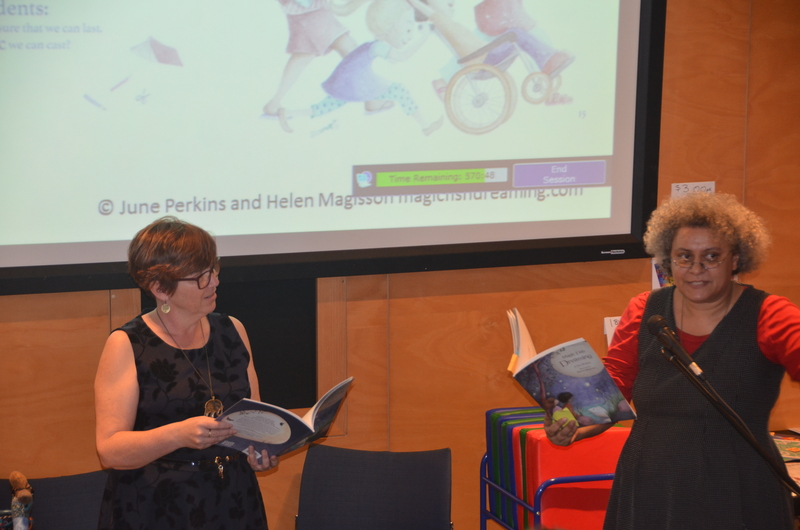 Sally suggested that poets for children within Australia need to work together to create a demand for the genre. She commended June for her efforts with crowd funding and marketing Magic Fish Dreaming. The panel discussed the role of visual books in keeping poetry alive, that is beautifully illustrated books of poetry for all ages from the young to high school readers. Sally’s verse novels, and all of Jennifer’s works are beautifully illustrated. At high school June used to have a friend who illustrated her poems for the school newspaper and she spoke about the wonderful collaboration with Helene Magisson and the way she was able to make poems like ‘Beyond Caterpillar Days’ more accessible for any reader through her breathtaking art. All of the panel discussed the role of the illustrator in add ing additional layers or illumination to the poem which could lead to people who are not practicing poets themselves to engage with the form more. June encouraged young poets and the audience to become advocates for the art form, to learn many different forms from many cultures not just the European/Western Canon and to then become editors of their school magazines and make sure poetry makes it into the publications. 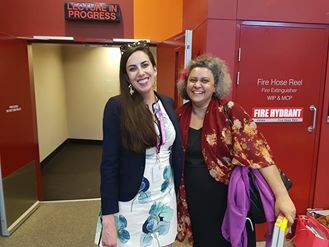 She mentioned the diverse poets at the Queensland Poetry Festival and the need for the sharing of collections with poets from around the world. The panel shared a list of places children and youth might seek publication. The panelists were asked some questions from the audience. This was then followed by an enthusiastic and interactive reading from the three panelists. J.R Poulter dynamically read three very different poems whilst showing the art on slides in the background, whilst Sally performed two rhyming poems, although she strongly believes not all poems should rhyme! Her call and answer poem about washing day was a lot of fun. 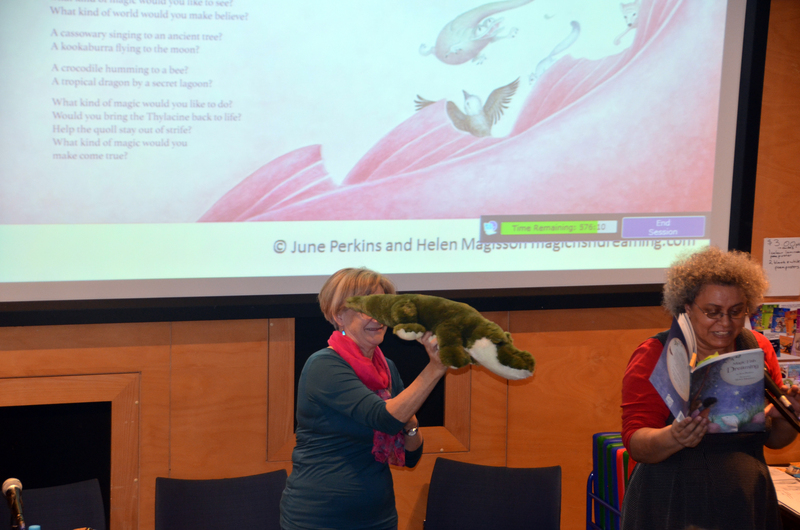 June invited audience participation in her selection from Magic Fish Dreaming with a back drop of slides of the pages of the book and places and creatures in Far North Queensland as well. Those gathered, including the helpful library host, continued to chat about poetry and think about what we can do to foster and ensure a publishing future for poetry for children, and by them as well. All in all a wonderful day to build upon. 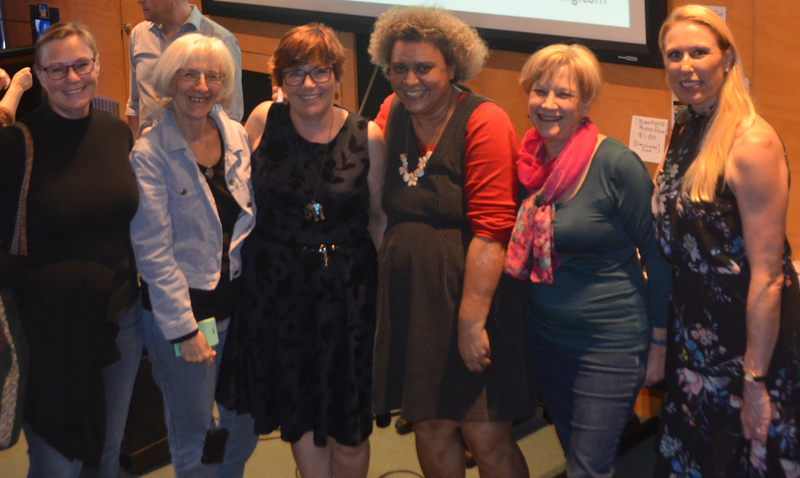 The panel, and hopefully now the wonderful audience as well, share a dream to nurture and bring about more dynamic poetry for children events in Brisbane and Australia wide. We want to see more publishing and sharing of poetry for children, as well as by children for children. Special – Signed from Sally Murphy! Thanks to David Perkins for his photography of the day. We have shown only people who gave consent for their photographs to be shared. A big thank you to Dr Sally Murphy for flying from Western Australia in the middle of a busy book week to be with us, JR Poulter, and to Dr Virginia Lowe for journeying from Victoria. Virginia also ran a wonderful workshop for creators of children’s books the week before the festival began. Note: This is my recollection of the day and others may remember more details or different ones. You are free to comment and let us know of your blogs, and sharings with links. Your comments are welcome! Help us raise the profile of poetry for children. The Week of the Queensland Poetry Festival is finally here. 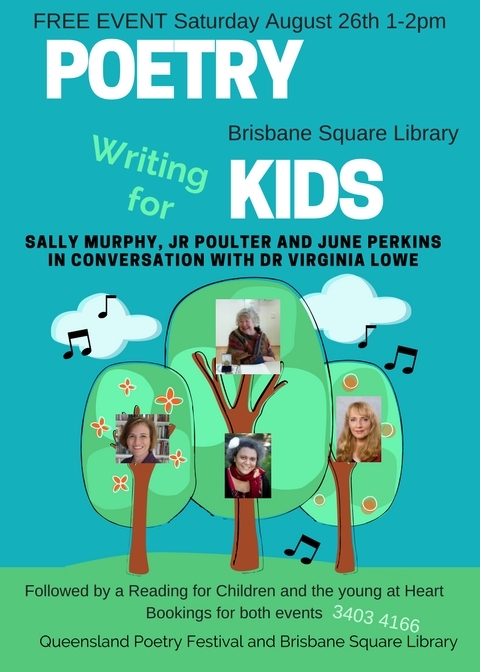 If you are attending the poetry for kids discussion panel at the Brisbane Square Library do book with the library. 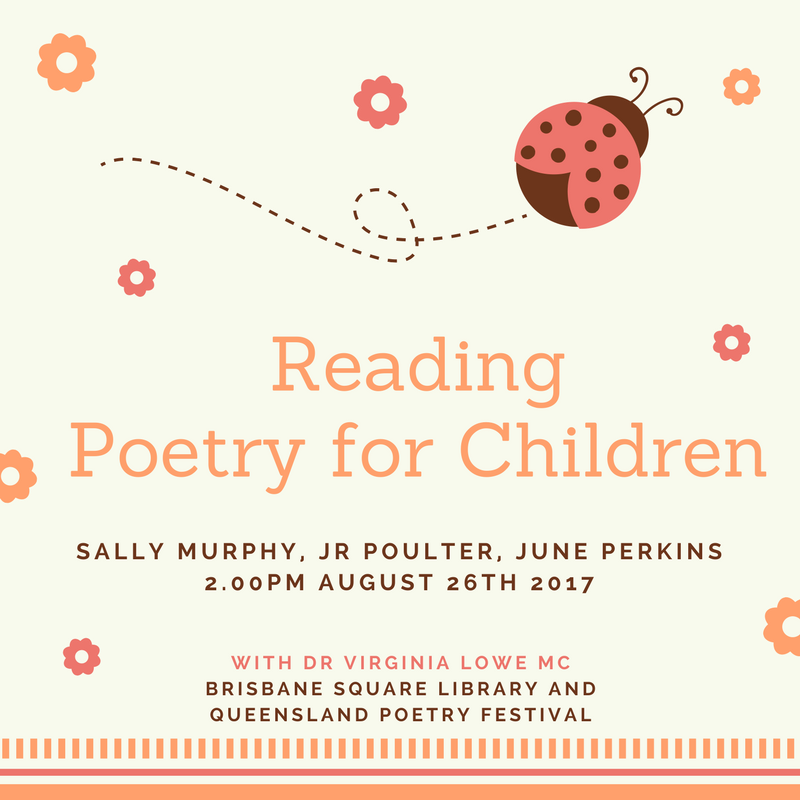 The panel is followed by a reading for children at 2pm and while it is free it is a good idea to book. See you there if you make it, and don’t forget to say hello! 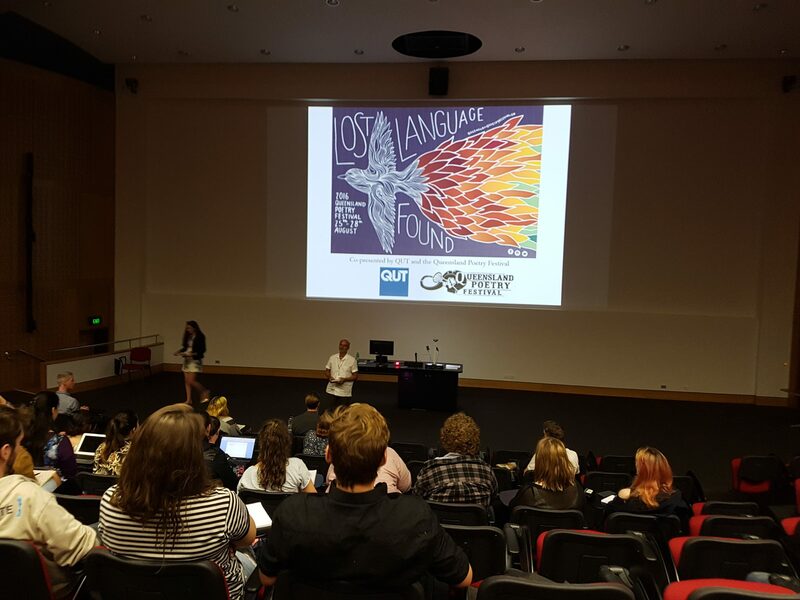 The last time I was in this lecture theatre was for the launch of Lani Wendt Young’s latest book with the Pacific Community of Brisbane. 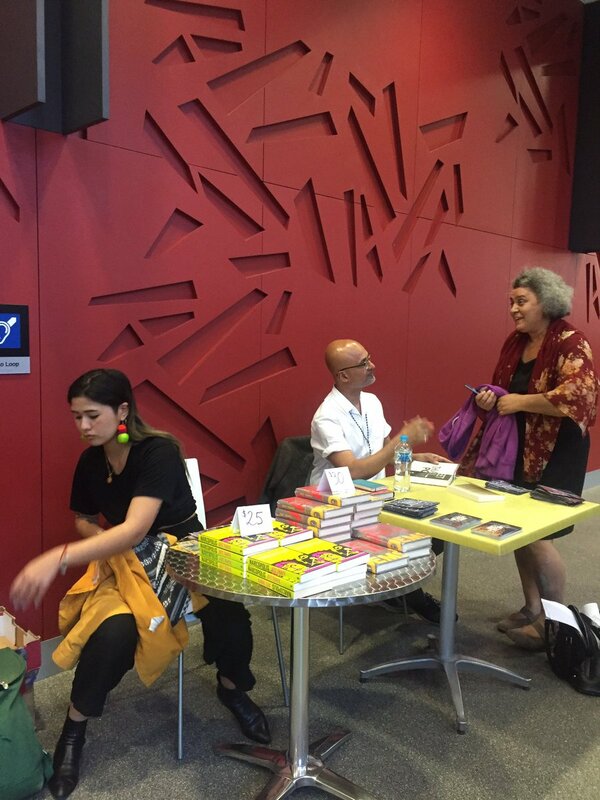 Today I am at a partnership event between the Queensland Poetry Festival and QUT, where they are hosting the poet, Jeet Thayil. It’s an interesting room with its sloping ceilings and curving walls that give it a Pacific feel, and the red plush fold out chairs add a feeling of majesty. It has an arty feeling to it, and is certainly not a sterile feeling room. Sarah introduces Jeet, an Indian poet, novelist, librettist and musician. He is best known as a poet and is the author of four collections, and as Sarah puts it is a ‘Renaissance Man’. He was also short listed for the ‘Booker Prize.’ Currently he is the poet in residence. Jeet then begins his presentation. He shares with us a series of poems and let’s us know the book will be for sale later. He gives us a pitch, ‘For the price of a good wine, or a Hungry Jacks meal, why not buy poetry that will last you longer and nourish you.’ $30 is the price of the collection of poems he is selling. He reads us a poem devoid of the usual poetry tricks of rhyme and scansion, much more like prose. ‘Declaration of Intent.’ It is a delicate piece, ‘ a love poem perhaps’ and leads to a hushed reflective room rather than applause, but that will arrive later. He follows this up with a poem equally delicate, called ‘The Haunts’ Phrases float in the late afternoon lecture theatre and hang there’ as a tremble on the stair, a slit on the moonlight’ ‘a white shadow’ ‘ music as a hunger.’ I find myself thinking about white shadows. So it looks like I am going to have to buy the book to read this poem again. A change of mood is on the way though, and looking at the audience Jeet performs a series of poem that have a gentle humour and satirical tone, they are mini – How to manuals. the first is ‘How to be a Toad’, and is about how not to be beautiful! This is followed by, ‘How to be a Leaf’, perhaps a feminist poem. This is followed by ‘How to be Horse’ (with an obscure reference to Song by The Doors), ‘How to be a Crow’ and ‘How to be a Bandicoot.’ In India the bandicoots are unkillable. Jeet is uncertain if we know what they are, but we do. The final line of this poem makes me think perhaps these Bandicoots are symbols of Man -‘Adam’. Accompanying each poem is a gentle tide of laughter which grows stronger with each piece. But they are more than pieces for laughter and leave traces of ideas to follow up later. Next Jeet tackles ‘the myth of the poet’ who burns life at both ends, who lives their life taking drugs, drinking too much, and having relationship dramas. He performs a poem of a love hate relationship with Baudelaire, someone who typified such a life style. Jeet does not find this kind of poetic life a good model for a poet to have clarity in their writing, later students will quiz him on the link between drugs and creativity and he will myth bust that quite firmly. Now that he has shared with us a range of poems, with a range of tones, Jeet gives us 15 reasons not to write poetry. He begins with ‘it will make no money!’ He develops a theme that he will come back to in question time. That of the difference between the novelist and the poet. The life of a poet is not easy, as there are no big advances, you fly economy class to conferences, and have an obsession with daffodils, April, names of trees and birds, and everyone asks you what your day job is. And finally he ends with you make no money. Just so we won’t forget that. And now it is a question time. Jeet is asked about the connection between drugs and creativity. He clearly refutes that one should take drugs to be creative, and later I find that he has long fought a heroin addiction. I ask about the transition from poetry writing to novel writing for die hard poets. He feels that poets focus on the beauty of language but can often lack the structure of a page turning plot when they write novels, but still they can have a beauty of language intact that some readers will like. This is another theme he develops because he speaks about how for him poets are full of joy, and more likely to dance on the tables and stay up late. Novelists much work hard, and go to bed early to get up the next day and work hard to finish their books. They treat it much more like a nine to five job. They also have the chance of being translated, which doesn’t really happen for poets, as they are so hard to translate. One student asks him what he would do if he had to write a poem for a piece of assessment, and he answers them with a piece of advice, about working a strict form like a ‘sestina.’ He explains that working in strict forms gives you the freedom to dance in a cage, but the cage is actually a place of freedom. One student asks him about confidence, and he explains that all good writers will always have some doubt, and the day they stop doubting is probably the day they should stop writing. There are more questions about the difference between poems written for live performance and intricate poems written to be read several times, from a page, so you can absorb them. One student asks when should you give up writing, and realise you are just terrible at it. He doesn’t think that poets can or should give up writing, and can write poems whether or note they are published. The road to publication can be long and hard, but it is worth pursuing it, and continuing on with your journey. He talks a bit about anthologies of poetry, and how difficult they are to edit, because poets are so particular about the lines, and other details. It is not an experience he would like again, but they are important, in that they highlight the work. Another person asks about how he began writing, and he tells us about spending many years as a journalist, and then returning home to his Indian Parents, (which by the way they love you doing) who provided him with the equivalent of an arts grant in rent free accommodation. His definition of ‘what is India’ and who is an Indian writer is broad and disasporic. He is interested in the Indians who live all over the globe. This is something I can certainly relate to as a diasporic Papua New Guinean Australian, who like Jeet, knows of my mother’s tongue, but I do not speak it. Later I will talk to him about having a poem of my own translated by a cousin in to my mother’s village language. Here I am chatting away. Jeet asks me about my own writing, and I mention, writing poetry for children and blogs and novels. etc. and the kickstarter. So I write this in tribute to Jeet. then you can trash all the rules.